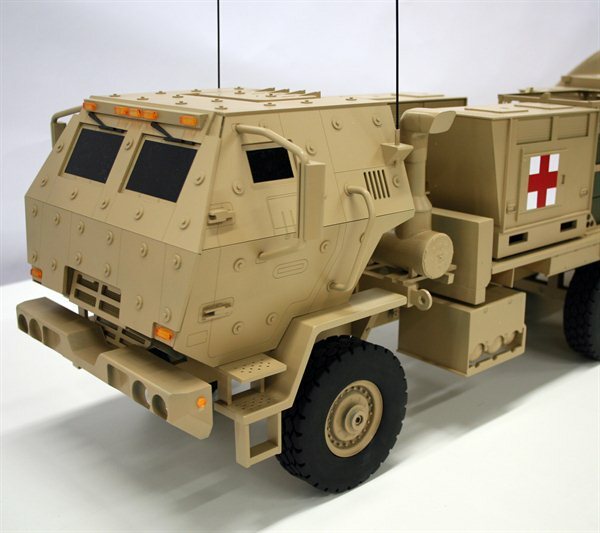 This is a five ton FMTV armored cab truck model with a specialized medical hospital payload. 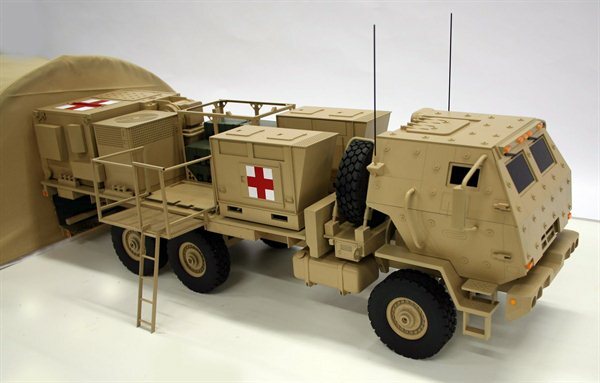 The model was built to 1/10th scale with the truck about 36″ long. 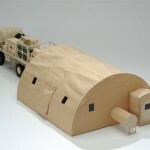 It was built for trade show use and has a metal frame and numerous metal details. 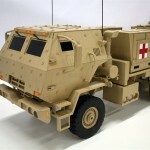 The cab has separately applied bolt head and hinge details on laser etched acrylic armor panels. 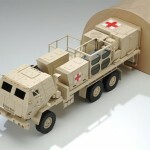 A second truck model was commissioned 2 years later in 1/20th scale. 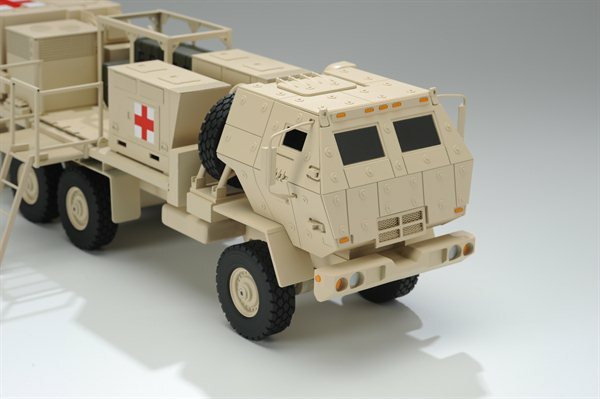 This truck cab detailing was made with 3D printed parts, the containers were made of acrylic and the railings were soldered brass. 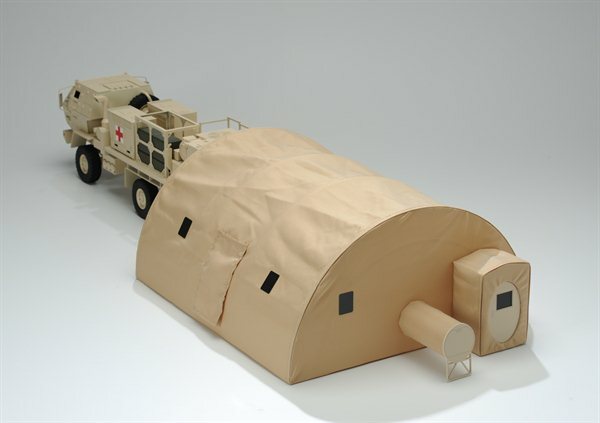 The tent design was different, as well. 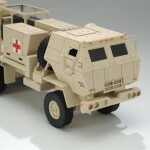 This project was posted in Military Models and tagged military vehicle model, truck model, Vehicle Model. 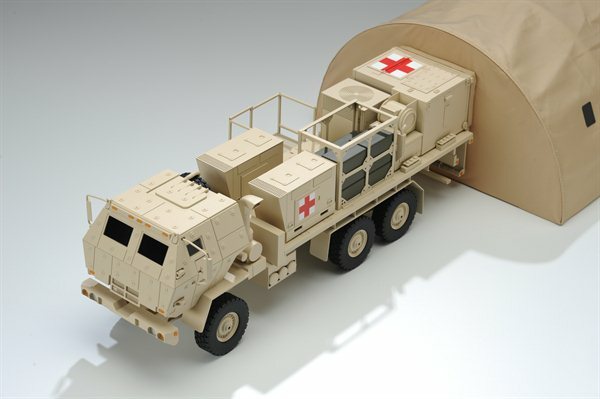 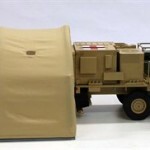 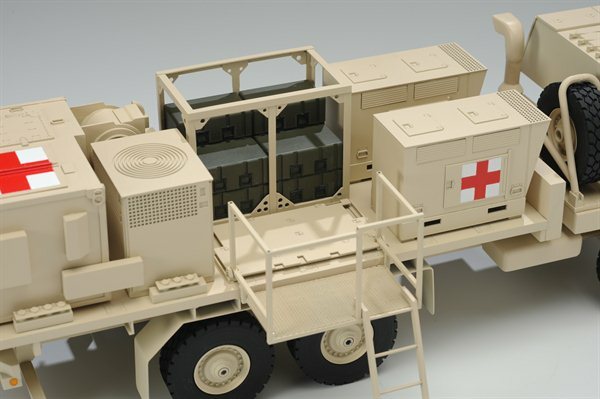 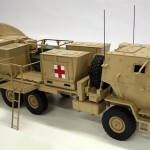 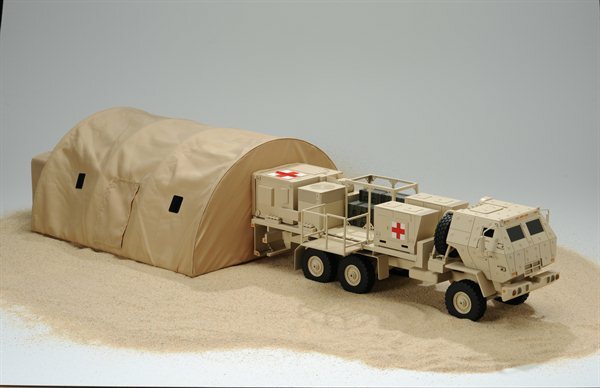 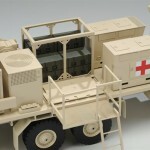 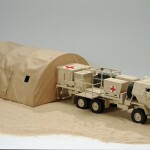 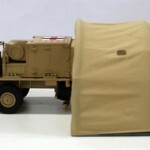 Bookmark this project: Mobile Army Surgical Hospital FMTV Truck Model.